Emerging Markets Are Getting Clobbered... Who Told You First? That's been the story driving markets in the past few months. The U.S. Dollar is up +6% from its February lows. Emerging Market stocks (EEM) are down -7% since then. That broad-based weakness belies some seriously damning returns in certain corners of the globe. Turkish stocks (TUR) is down -27% year-to-date. Indonesian stocks (EIDO) down another -18% year-to-date. Argentinian stocks (AGT) is down -11% year-to-date. If you think Emerging Market underperformance is over don't get your hopes up. 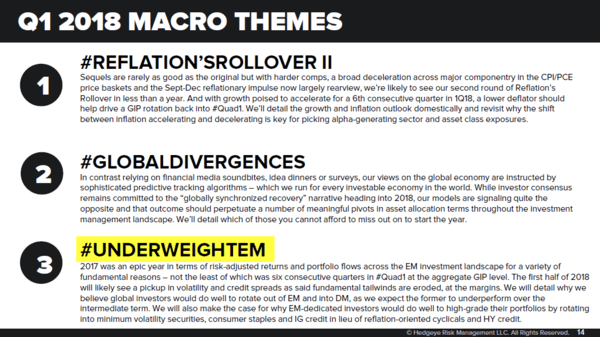 Our call on Emerging Markets was explicit on January 4, 2018... #UnderweightEM. Here are a few videos from our analysts underscoring this point. We warned investors about the bottoming U.S. dollar in early April. And explicitly said avoid Emerging Market equities which would come under pressure. It’s happening. Wall Street says U.S. stocks are “too expensive.” So buying “cheap” emerging markets is the way to invest now, right? 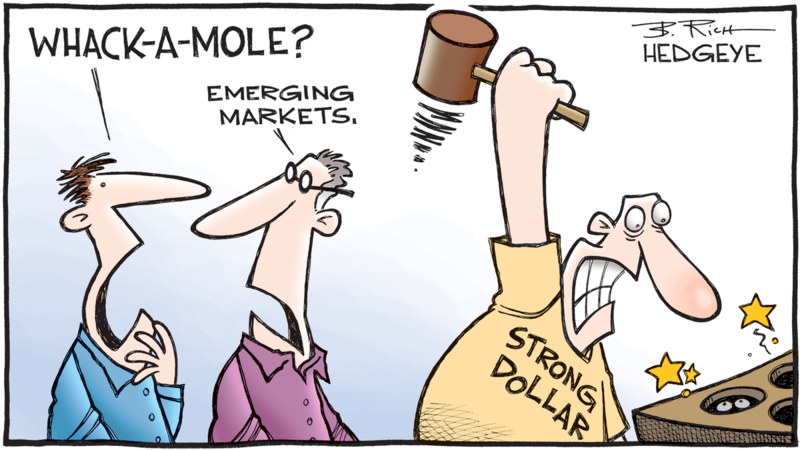 Not so fast, according to Hedgeye Demography sector head Neil Howe.